Send a carefully chosen selection of cheeses, along with dried fruit and nuts, to commemorate a special occasion or just to show you care. There is plenty here to serve as appetizers, or to bring to your next cheese tasting party. 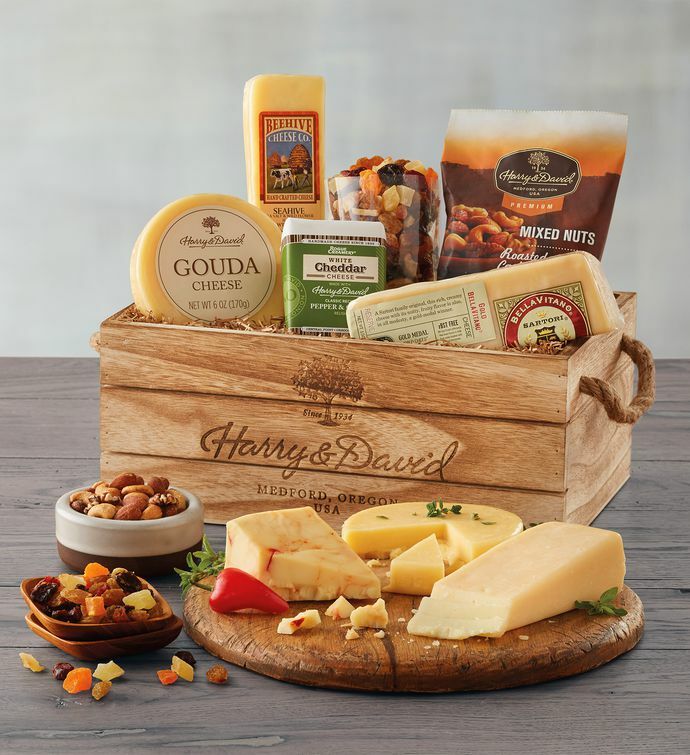 We've included nutty, Italian-inspired BellaVitano Gold® cheese; salty-and-sweet Beehive Cheese Co. SeaHive cheese; smooth and creamy Gouda; and tangy, savory Rogue Creamery® Oregonzola in this sturdy, rustic-style, reusable wooden crate.